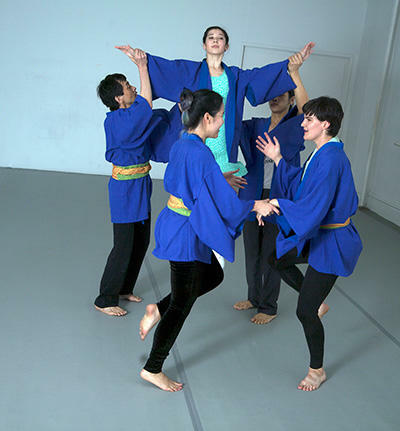 （L-R）Jessica Madera, Boonyarith Pankamdech, Jake Park, Sumi Matsumoto, Janet Aisawa, Emily Winkler-Morey, Osamu Uehara and Mattunyuta Littiplack. Photo: Courtesy of Aidance Theater. Sumi Matsumoto and Jake Park.